Dr.Dune’s Base Butter looks like squares of butter and smells like pineapple. Base Butter goes on thin and requires no buff in. 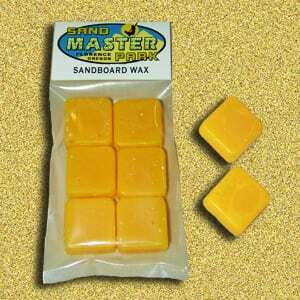 This new sandboard wax does well in a broad range of temperatures. Base Butter is easy to use as it can’t be over waxed and starts easy so many prefer Base Butter for their every day use sandboard wax. Each cube is enough wax for 2-4 good sessions. Dr.Dune’s Base Butter looks like squares of butter and smells like pineapple. Base Butter goes on thin and requires little or no buff in. This specialized sandboard wax does well in a broad range of temperatures allowing for quicker starts. Base Butter is so easy to use as it can’t be over waxed and starts easy so many recreational sandboarders prefer Base Butter for their every day use sandboard wax. Each cube is enough wax for 3-5 good sessions. 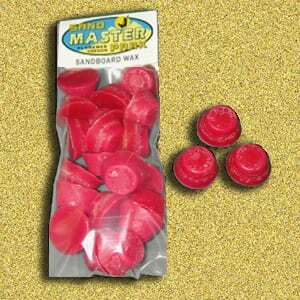 There are currently a couple dozen production sandboard waxes available today and home made versions out there as well. What will prove to be the best wax to use will vary depending on the type of sand you will be riding and condition of the sand at that time. If you pick the most sandboard friendly sand and ride on a very wet day you may need no wax at all. Some of the base surfaces ( Super Race Base ) being made today require little or no wax also. For the majority of sand however, you will need a good sandboard wax and with out it you might not slide an inch. A number of substances that will allow the board to break free from friction. Unfortunately, many of them will also increase the oxidation of your base, break down of molecules at the atomic level. Ultimately this will leave your board slower and sluggish and contaminate the sand itself. Floor waxes and car polishes are NOT made for sandboards. They are made to wax and polish floors and automobiles. Don’t use them! 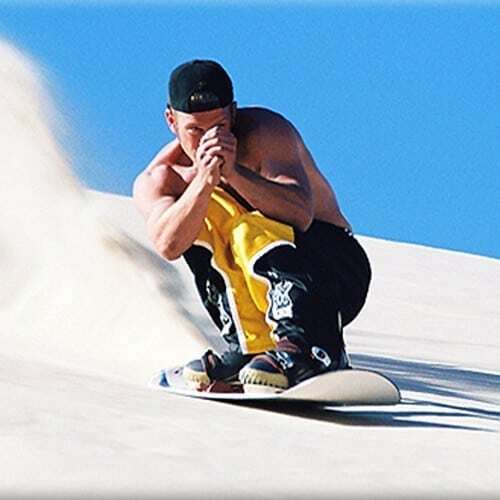 Speed Wax: is an all around recreational sandboard wax with a high melting temperature and static blocker to give a consistent ride. This sandboard wax allows a longer run out than most anything else we’ve tested. 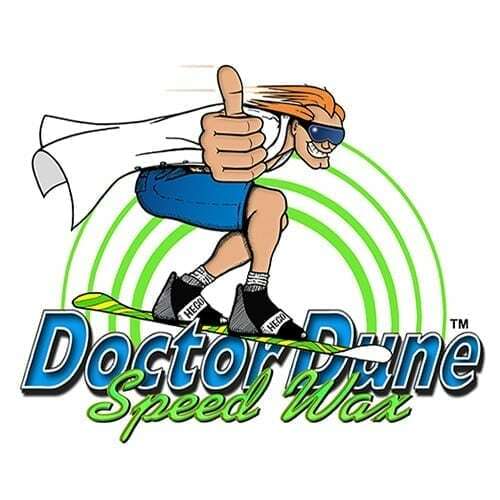 Speed Wax is the standard for the industry and the wax of choice for pro riders. 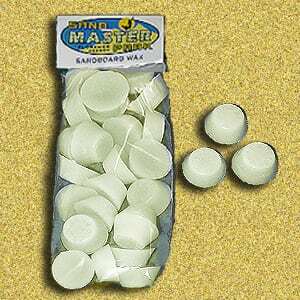 Regardless of what else you use you should always have a bar of Speed Wax with you since it works well on most types of sand and is inexpensive. Base Butter: Dr.Dune’s ‘Base Butter’ is an exciting new sandboard wax and effective in a broad range of conditions. 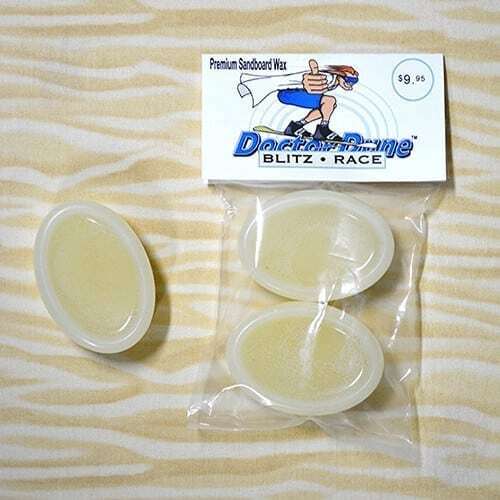 ‘Base Butter’ is fast ‘quick start’ wax and priced right. As a harder sandboard wax ‘Base Butter’ goes on fairly lightly and requires very little if any buffing. Just rub it on and go! ‘Base Butter’is yellow in color and smells like pineapple. Base Butter is a great wax and easy to use. Some basic things to remember is that if the sand is hot you will find the high temp waxes more effective since the heat won’t make your wax soft and sticky. 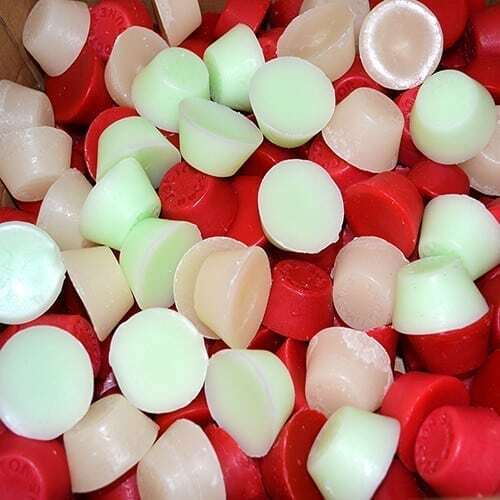 What ever the type of riding you will be doing most any of these waxes will work but one will be much more effective than the others under the existing conditions.